Download the Rising Stars Application Form (2019) here. Open to applicants born after 30th March 1993 (under 26 years old on the date of Brisbane Sangeet Mela). Previous Sangeet Premi Rising Star Award winners are not eligible to apply in the same category. It is expected that applicants will be capable of performing at a high standard approaching professional level. We do not recommend that young children apply unless they are unusually talented. Judging committee may not give an award in some categories if the quality of applications is deemed insufficient. The award may also be granted to any individual deemed worthy by the judging committee, although they may not have officially applied. In 2019 we hope to award 3-5 awards in the 8 overall categories. This looks fantastic! I would like to participate in the vocal category. I am student of Mr Rahim Zulla. I would love to perform a vocal rendition. Please contact me on my email or mobile: 0402106292. My daughter Shivani has been learning Bharatanatyam since the age of 7. She would like to participate in the dance category. 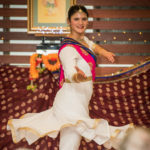 On the website it is mentioned that dance should be either Classical Kathak or Odissi. Please let me know if my daughter can perform Bharatanatyam . Thanks for your query. 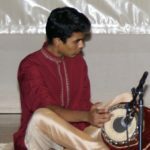 We are just starting up Brisbane Sangeet Mela as an annual festival and for this first year we are focusing on North Indian classical music and dance, with live accompaniment if possible. As the festival grows in the coming years we hope to expand the scope and duration of the festival to include classical music and dance from all over the Indian subcontinent. Could you please advise on how to submit the application form? The link shown at 7th bullet points above is suppose to be for submitting the application form. However, upon clicking, it takes to downloading of application form. I can’t find any other tab on this webpage for Form submission neither an email address where it can be sent over email. I really wish if this website could be more user friendly however, in the meantime, appreciate if you could guide on how to send/submit application form for an emerging talent. Looking forward of receiving your response.